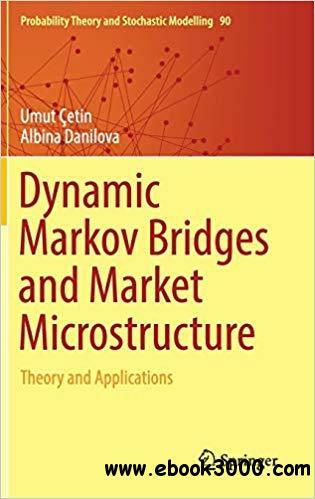 This book undertakes a detailed construction of Dynamic Markov Bridges using a combination of theory and real-world applications to drive home important concepts and methodologies. In Part I, theory is developed using tools from stochastic filtering, partial differential equations, Markov processes, and their interplay. Part II is devoted to the applications of the theory developed in Part I to asymmetric information models among financial agents, which include a strategic risk-neutral insider who possesses a private signal concerning the future value of the traded asset, non-strategic noise traders, and competitive risk-neutral market makers. A thorough analysis of optimality conditions for risk-neutral insiders is provided and the implications on equilibrium of non-Gaussian extensions are discussed. A Markov bridge, first considered by Paul Levy in the context of Brownian motion, is a mathematical system that undergoes changes in value from one state to another when the initial and final states are fixed. Markov bridges have many applications as stochastic models of real-world processes, especially within the areas of Economics and Finance. The construction of a Dynamic Markov Bridge, a useful extension of Markov bridge theory, addresses several important questions concerning how financial markets function, among them: how the presence of an insider trader impacts market efficiency; how insider trading on financial markets can be detected; how information assimilates in market prices; and the optimal pricing policy of a particular market maker. Principles in this book will appeal to probabilists, statisticians, economists, researchers, and graduate students interested in Markov bridges and market microstructure theory.